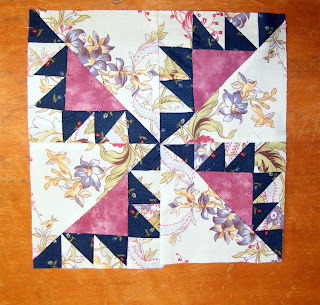 This is my effort made up to the Kansas Troubles block pattern from Barbara Blackman's Civil War Blocks blog. I wonder what she has in store for us this coming week. I think it's a beautiful block. But I can also see why you wouldn't want to make a huge pile. But you would also be proficient at half square triangles!